I was fortunate to come into contact with Yvonne in 2018, and would like to share with more people more about her and the fantastic service she offers. Yvonne loves weddings! She absolutely adores listening to couples and finding out what kind of ceremony they are looking for, and then helping them to create their special ceremony, which is uniquely crafted by herself, just for them. She can write and conduct Ceremonies for any major milestone in life, and her focus is on Weddings, Vow Renewals and Baby Naming Ceremonies. 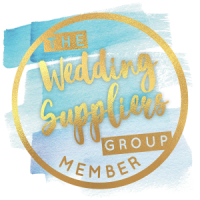 As a Wedding Celebrant who trained with the Fellowship of Professional Celebrants in 2011, she has had the pleasure of creating over 150 ceremonies. She also offer something a little more unusual in that she is bilingual and works in both English and German, giving an added dimension to couples and families, who want to ensure everyone is included in their ceremony. Yvonne offers very personal service to her couples and supports them through tough the process of creating their wedding ceremony. She always asks couples to get in touch with her before making any decision about booking, and as long as she has their date available, this works through either face to face or skype calls initially. Once the decision is made, then she asks for a small booking fee, which is deducted from the overall price, and then closes the date off exclusively for them. She will then send the couple some forms which help me to understand their ceremony process, and their relationship. Further skype and emails and phone calls will of course take place. The ceremony is usually approved around a month before the day itself, so that you are all relaxed and just happily anticipating the special day! Yvonne supports the couple with assistance and advice – and this may include other professional vendors, music choices, choices of wedding readings from the large collection she have created over the years, and also one to one assistance with the writing of personal vows. Most couples want to create something very personal and are fine, but if they need my help she can assist with examples and support. She can also help them to include culture or symbolism or even religion within the ceremony – it really is a completely blank page for them to draw and dream upon! Some rituals are now getting to be quite well known – such as a Hand Fasting, where the couple have their hands tied with ribbons during the ceremony. This is an ancient Celtic tradition which coined the phrase “Tying the Knot” and “ Bonds of Matrimony” as the ties were symbolic and rings were only really for the wealthy who could afford silver or gold rings as a symbol of their union. By now you may be asking what makes Yvonne unique in the service she can offer a couple planning their ceremony-she spends all the time that the couple needs and wants in terms of being there for them from the beginning of our relationship until the day – sometimes 3 or 4 months, sometimes up to 3 years! She has the ability to create ceremony in two languages, and a host of experience, advice and suggestions in terms of creating a totally personalised ceremony that is authentic and represents the couple and their values and lifestyle.Yvonne is happy to incorporate religion, faith, ritual, culture and support all couples who want a ceremony that speaks truly of their commitment. She also has contact with great professionals and suppliers. Jonathan and Clint – Ceremony at the Connaught Hotel, Mayfair. Photographer unknown, provided by couple. In the end of this blog I would like to share some final,lovely words from Yvonne, especially for all lovely couples who are on their journey of planning their wedding and ceremony. ‘I found Celebrancy work quite late in life, and just love being able to offer couples their unique love story, created with sincerity and authenticity as well as with love and humour. Ceremonies can be held almost anywhere, at any time of day or evening, and any day of the week. There are no restrictions, and I love that couples are more and more inclined to use favourite places or spaces where they can put their own stamp on the day, whether that’s indoors or outdoors, in gardens, by lakes, in woodland or forest, on boats or in manor houses. We have a mantra in my Fellowship, – “Your Day, Your Voice, Your Choice” and this is I think what I love most about my work, that it offers choice and gives them the day they have always dreamed of. NB Yvonne’s Ceremonies are celebratory and ceremonial and totally personal and unique, and are not legally binding. For couples seeking to register a marriage, they should obtain their Marriage Licence through their chosen Registry Office. This is often done at a Standard Service which all Registry offices must offer, and costs approximately £60. I have always reading with delight about fellow photographers and other wedding industry suppliers, whose businesses have been awarded and in fairness did not think I would soon become one of them. I am proud to announce that Truly Natural Photography won a Silver Bridebook Wedding Awards 2019 Badge Of Excellence, based on 5* customer satisfactory reviews and fellow suppliers comments I worked for and with in 2018, as well as on the quality of my product.